Featured prominently in Maria Grazia Chiuri's groundbreaking Dior Spring 2017 collection, a first for a female Creative Director for the house. 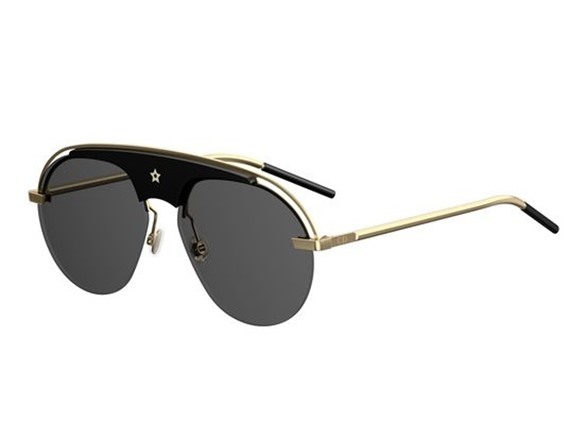 The classic pilot aviator gets an update via ultra flat 2 base lenses and contrasting plastic and metal construction. 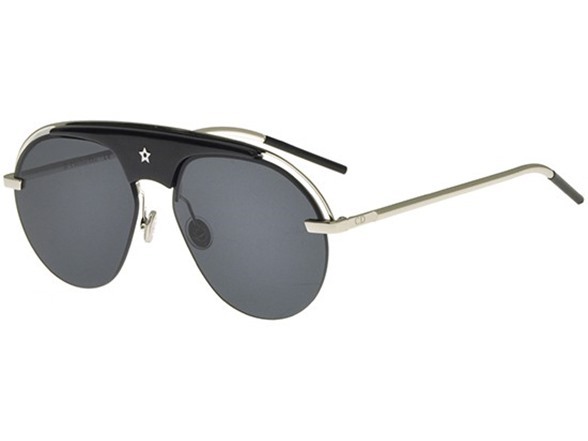 Acetate front with bulls-eye star detail. Negative space front accents. Metal temples with acetate tips.